The team later went to PVP Square and raided three restaurants. VIJAYAWADA: Vigilance and Enforcement (V&E) officials, along with food safety and Legal Metrology officers, carried out raids on food joints in Trendset and PVP shopping complexes here on Friday afternoon. During their inspections, the officials observed that the quality of food being prepared were not up to the mark, lack of sanitation and irregularities in the prices at which the eateries were selling food items. Improvement notices were served on the joints. 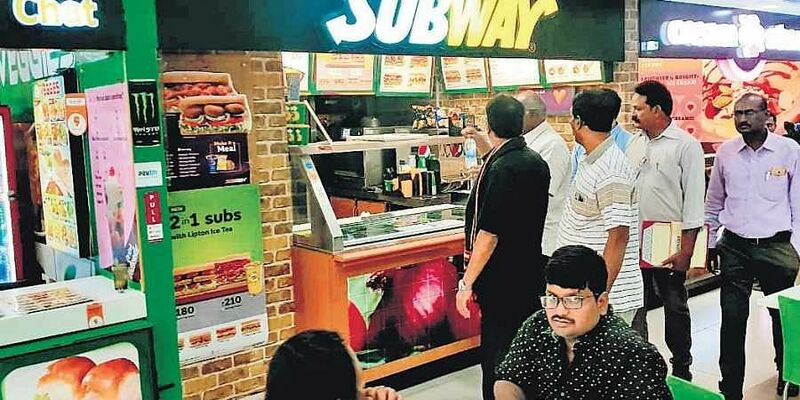 According to Assistant Controller of Food Safety and Standards Authority of India (FSSAI) N Purnachandra Rao, five food joints were inspected in two shopping malls–Trendset and PVP Square–and six samples were collected that were sent for analysis. The team went to Barbecue Pride in Trendset mall near Benz Circle and found the quality of biryani it served to be poor. “We collected samples of chicken biryani from the restaurant. Our team also inspected another restaurant in the same mall, PR Biryanis, and collected samples of tandoori chicken,” Purnachandra Rao said. The team later went to PVP Square and raided three restaurants. “From Biryani Pot and Lunch Box restaurants, samples of chicken biryani were collected and from the Ice Cream Parlour, samples of strawberry jelly were collected. Based on test reports, cases will be filed against the errant restaurants,” the FSSAI official said. Meanwhile, cases were booked against Pakodi Factory for altering MRPs and against Manthrini Fashions and H&B Cosmetics for not pasting label details on products.